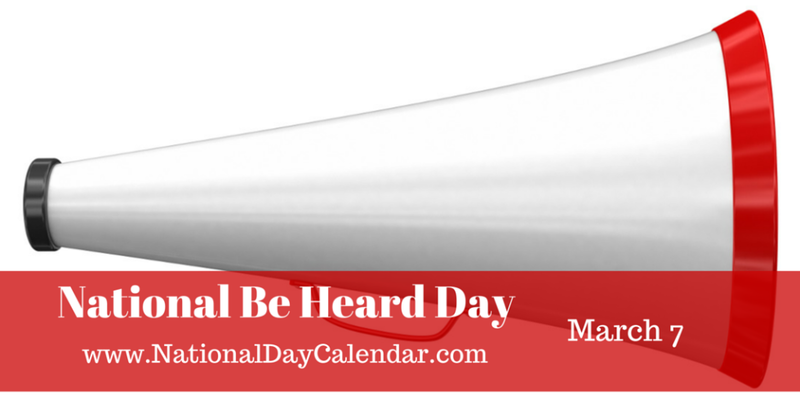 Today, March 7, 2015 is National Be Heard Day for all of us mom and dad bloggers, entrepreneurs and small businesses! Let our voices be heard by visiting each other's blog or business web site and leaving a comment! To start all you need to do is leave a comment on this post with your link! If you see that other's left a comment, please return the favor by visiting their blog and web site!